Choose and love the fragrances by Gabriella Chieffo thanks to our sample kit. Discover the purity of Lye, the elegance of Camaheu, the spiciness of Ragù, the paradox of Hystera, the breath of Acquasala, the warmth of Variazione di Ragù, the enchantment of Maisìa, the storm of Taersìa, the olfactory rebirth of Quasicielo, the cuddle of Lattedoro and the olfactory game of 1,2,3, stella! 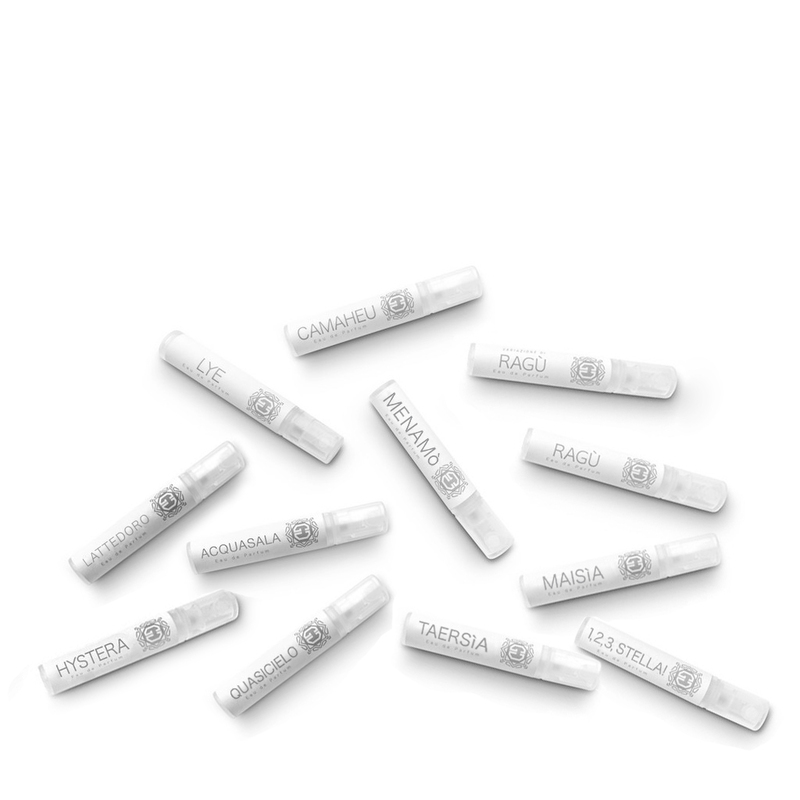 Each set contains eleven 2,5 ml bottles.